“We can’t afford to wait. We can’t wait to see and hope for the best,” Obama said in Elkhart, Ind., a community with more than 15% unemployment. 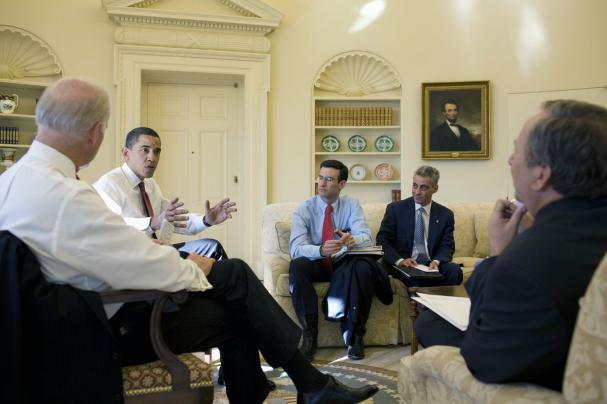 The President seemed to be saying he had heard enough from critics on the stimulus. Why does the president need to go on the road? Because others have failed to make the case for the president and Republicans and Democrats in Congress face a lot of distrust. An analysis by Scott Rasmussen notes that the stimulus debate is now driven by a tug-of-war between the popularity of President Barack Obama and the nation’s deeply ingrained reluctance to increase government spending. The president is banking on his 67% approval rating. You are currently browsing the archives for the Elkhart category.